Help us spread sepsis awareness! 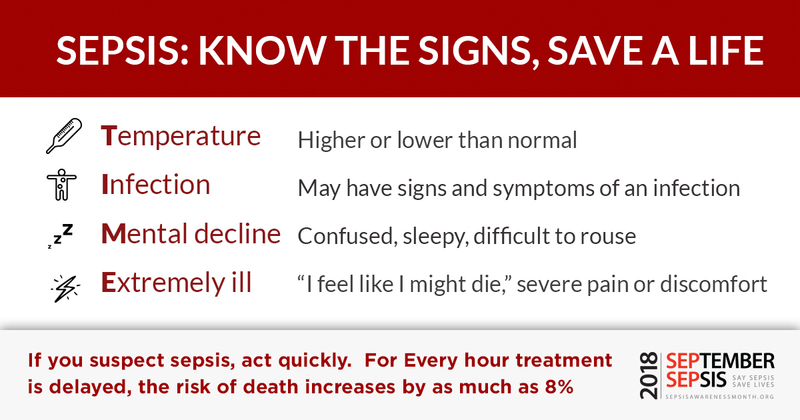 We want everyone in your community to know the signs and symptoms of sepsis, so no one has to unnecessarily suffer from this life-threatening condition. Together we can make this happen. 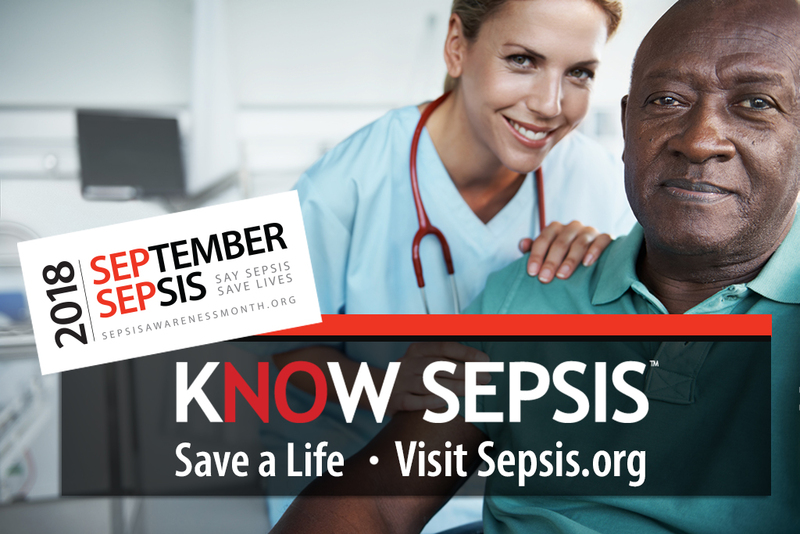 We have prepared a toolkit with everything you need to raise sepsis awareness among your patients. Review the tools below and let’s start spreading awareness! Sepsis is the body’s overwhelming response to infection, which can lead to tissue damage, organ failure, amputations, and death. 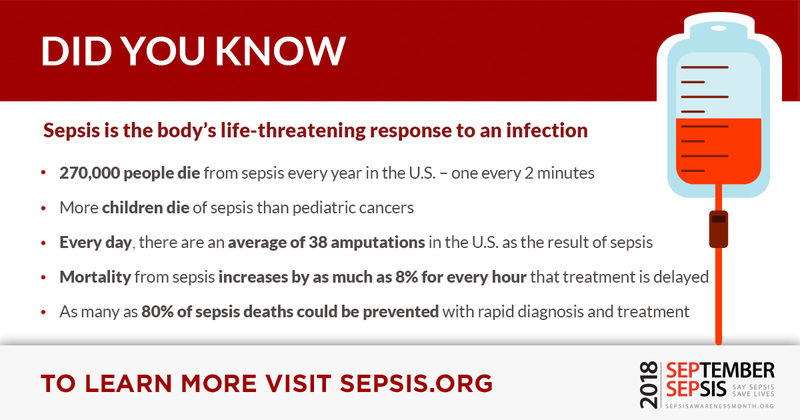 More than 1.7 million people in the U.S. are diagnosed with sepsis each year – one every 20 seconds. In the United States, 270,000 people die of sepsis each year – more than from prostate cancer, breast cancer and AIDS combined. 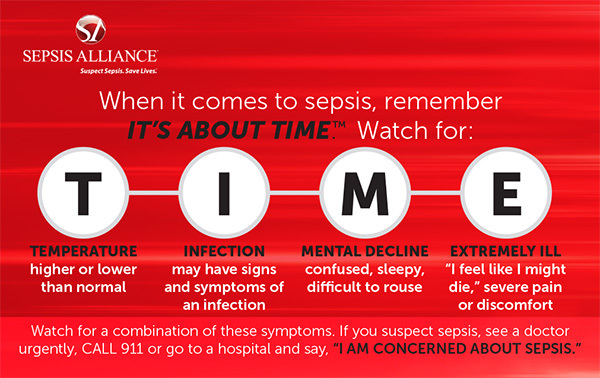 Despite its prevalence, less than 1% of Americans can correctly identify the most common symptoms of sepsis. What are the signs and symptoms of sepsis? Our TIME acronym will help you remember. Continue reading to learn how you can join us in raising awareness. If you would like to download the entire toolkit, please click here. – Click here to get started! We have resources in Spanish for your bilingual constituents. 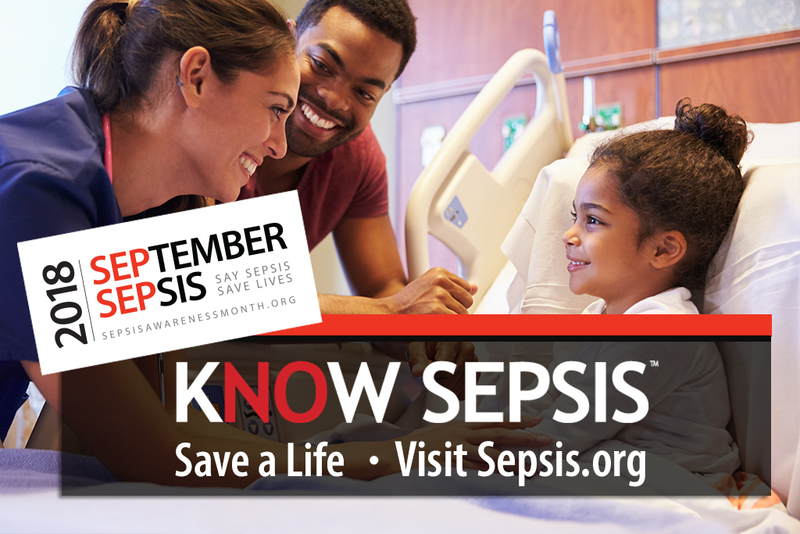 Click here to download OR visit our Sepsis en Español page here. Sepsis Information Guides: 50 invaluable sepsis guides. 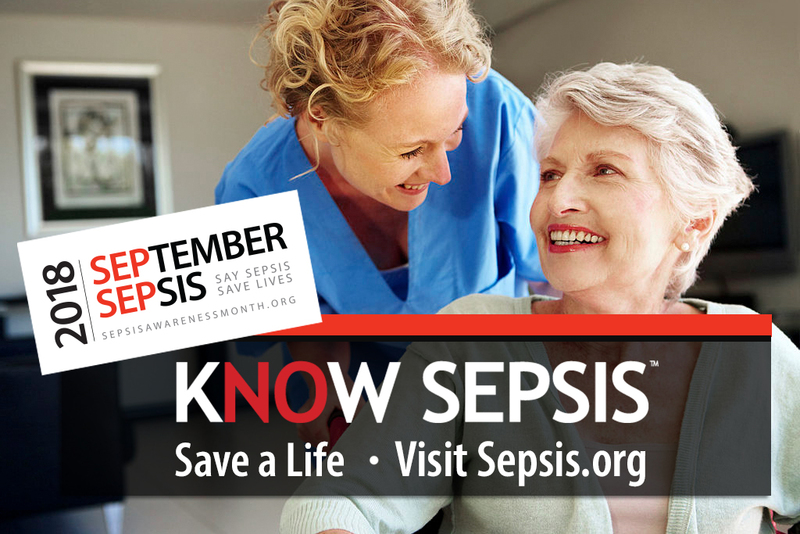 Sepsis Awareness Month FAQ: You have a question?